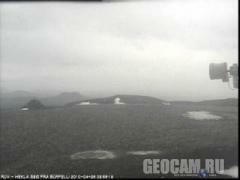 Webcam shows online view on the Colima volcano in Mexico in real time. 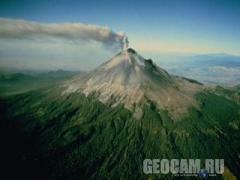 Colima — the most active volcano in Mexico. More than 40 eruptions since 1576. Colima — volcano in Western Mexico is located in the state of Jalisco , in the Volcanic Sierra, 80 km from the Pacific ocean. Consists of 2 conical peaks; the highest of them (Nevado de Colima, 4625 m) — an extinct volcano, most of the year covered with snow. Another peak is an active volcano Colima or Volcan de Fuego de Colima ("Fire volcano"), height 3846 m, is called the Mexican Vesuvius. Lava similar to the structure of basalts. Looking for ufo`s and enjoying the scenery.